Just because there are dangers in this world doesn’t mean you need to change what you do — just how you do it. This May, National Lyme Disease Month invites you to enjoy the outdoors like you always would, but also to be aware of the risks involved and how to avoid them. Some common symptoms of Lyme disease include fatigue, neck stiffness or pain, jaw discomfort, joint aches, memory loss, vision problems, and fainting. However, by covering up exposed skin, using insect repellant, and periodically checking for ticks, you can enjoy all of your normal outdoor activities. Don’t let Lyme disease ruin your adventures. Simply educate yourself on the subject and act accordingly to eliminate the problem right from the start. 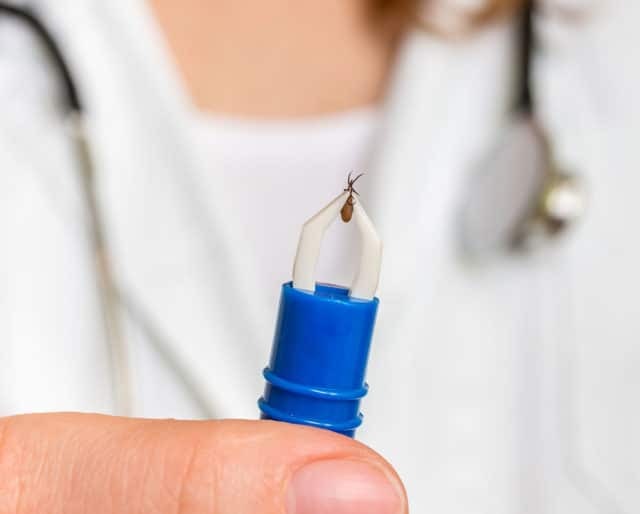 The FDA grants Lyme disease vaccine candidate VLA15 "fast track designation" — allowing for further research and development. LYMERix is withdrawn from the market because of poor sales, originally due to lack of reimbursement by insurance companies and then to rumors about adverse effects. Despite a lack of evidence that the vaccine's to blame, sales plummet. Lyme disease vaccine arrives in the US. SmithKline Beecham develops LYMERix, the first and only licensed vaccine against Lyme disease. Given in a three-dose series, the vaccine stimulates antibodies that attack the Lyme bacteria in the tick’s gut before it enters the body. This was about 78% effective in protecting against Lyme infection. Lyme disease is diagnosed as a separate condition for the first time in Old Lyme, Connecticut. Create a “tick free” zone with an inner area that is well manicured. Mowing the lawn and shearing the hedges will keep the tick habitat away from your home. If going for a hike, stay away from the high grass and brush that may be on the edges of your hiking trail. In addition, cover up exposed skin as an extra precaution. The most important thing is to get ticks off of you before they attach and have the chance to transmit Lyme disease. Physical and visual Inspections are necessary practices for finding ticks. Especially important areas to check for ticks include behind the knees, under the armpits, and the scalp. There is no evidence that Lyme disease can be transmitted from person to person, or directly from an another animal, according to the CDC. There are some cases of Lyme disease that persist, known as post-treatment Lyme disease syndrome. The CDC says this affects 10 to 20 percent of Lyme disease patients. Lyme disease is the most common disease spread by ticks in the Northern Hemisphere. It is estimated to affect 300,000 people a year in the US. Blacklegged ticks, also known as deer ticks, are the specific species of tick that carry Lyme disease. Lyme disease is a worldwide infectious disease and has been reported in all 50 states. Additionally, Lyme disease had been found on every continent except Antarctica. You're more likely to get Lyme disease if you live or spend time in grassy and/or heavily wooded areas. Outdoor activities such as camping, hiking, and hunting occur in these spots where ticks thrive. Be aware of the risks, take the necessary precautions, and you can still enjoy all your favorite activities. By adequately protecting yourself, you can eliminate Lyme disease before it begins. If you cover up exposed skin, use insect repellant, routinely check your body for ticks, and maintain a well-manicured yard — Lyme disease will be kept away. Lyme disease can be cured much more easily if found in its early stages. Antibiotics are typically prescribed to patients for 2 to 3 weeks when Lyme disease is diagnosed, and in up to 90% of cases, the antibiotics cure the infection.